Inheriting a house from a departed loved one can be a fantastic gift, a challenging inconvenience or a complicated and emotionally taxing burden, depending on your individual circumstances and what you plan to do with the property. Read this blog post How to Sell a House You Inherited in Fort Collins and be aware of the things you can do with the property you inherited. Sell A House You Inherited to NoCo House Buyers Inc is your best option..
First of all it is important to understand if the deceased party had a will that clearly specified what was to happen to the property upon their death. If the deceased had not willed the property to a certain person/people the house will have to go through the probate process. Probate is a court-supervised process of gathering a deceased person’s assets and distributing them to both creditors and inheritors. Probate process can be a complicated, lengthy and confusing process that can take from 6 – 12 months. As a result a decision will be made as to how the deceased assets will be distributed to the heirs. As solicitors and courts have to be paid by the heirs before they actually inherit anything they will most likely want to sell the inherited property fast once the probate has been completed. But when that house becomes yours, figuring out what to do with it can present special logistical, practical and emotional challenges. Having a plan and enlisting professional help will allow the best outcome for all parties involved. What are your options when you inherit a house in Fort Collins? There are three basic paths you can take; you can either decided to live in the house, to hold onto it as a rental property, and your third option will be to sell a house you inherited. While selling a property in a normal scenario is usually straight forward as its owners are typically on the same page in terms of desired closing date, sale price etc. ; to sell a house you inherited can be quite complex. In many cases the property will be inherited by a number of people, such as siblings, cousins, etc. with various needs, interests, and financial motivations. If the property is sold through the traditional route, via a real estate agent, there is no guarantee that it will be sold as soon as it goes on the market. The house will be placed in the listing and it might take months or even longer before it sells. Furthermore once you have a buyer it takes another 45 days to close. Within that time, it is the beneficiary’s responsibility to keep the property in an appealing state while paying all of its due taxes. In addition to this, there is the financial cost of preparing the house for sale and making the house appealing to prospective buyers. This could be redecorating, cleaning up the yard, painting the home’s interior and other improvements, as well as the marketing costs. The best way to sell a house you inherited fast and to avoid any possible financial issues that may surface, is to sell a house you inherited to a cash homebuyer. NoCo House Buyers Inc offers a quick and painless way to sell the inherited property in Fort Collins without incurring additional costs or stress. 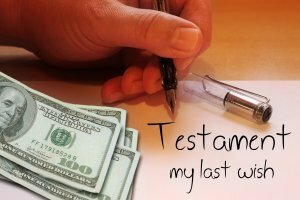 This saves the beneficiary restoration as well as up-keep costs. Furthermore this way you can also get rid of the middle men such as real estate agents and lawyers who have to be paid for their services. However the most enticing part of selling your property to a cash homebuyer is the quick sale! A quick house sale for your inherited property can be achieved as we can close in as little as 9 days. Within a matter of days you can get rid of the stresses of selling your Fort Collins house off of your mind. All seller fees to sell an inherited property are paid for, so you no longer have to worry about solicitors fees, surveys, valuations for your inherited home as they are all covered. No Stress. You don’t have to pay any mortgage costs or worry about other factors that might delay the sale.